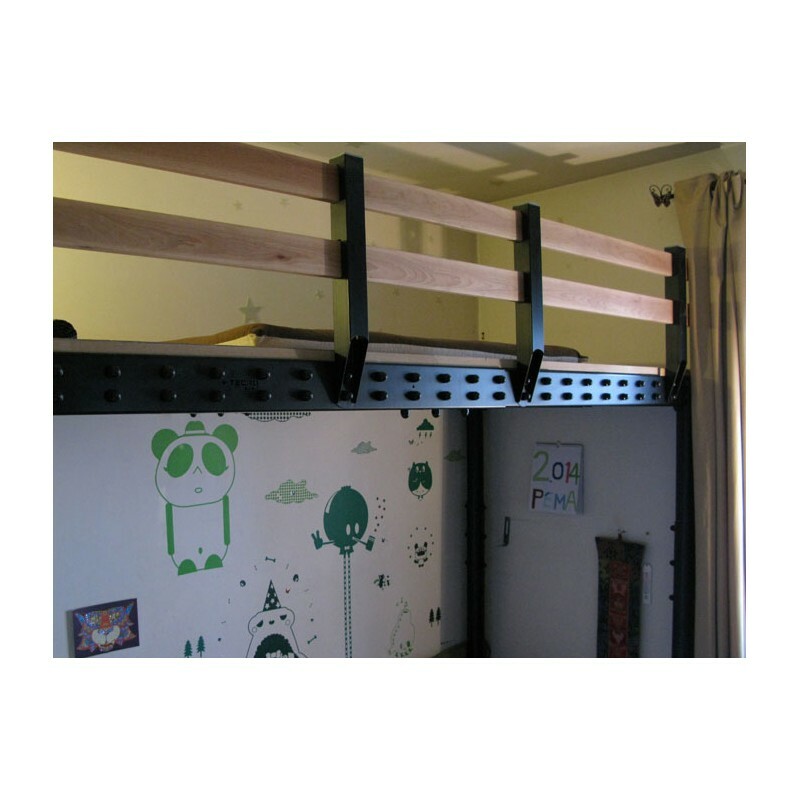 The extension is added to the initial loft bed railing flank to get 2 extra meters length. You can keep on adding as many extensions as needed to cover the desired length. 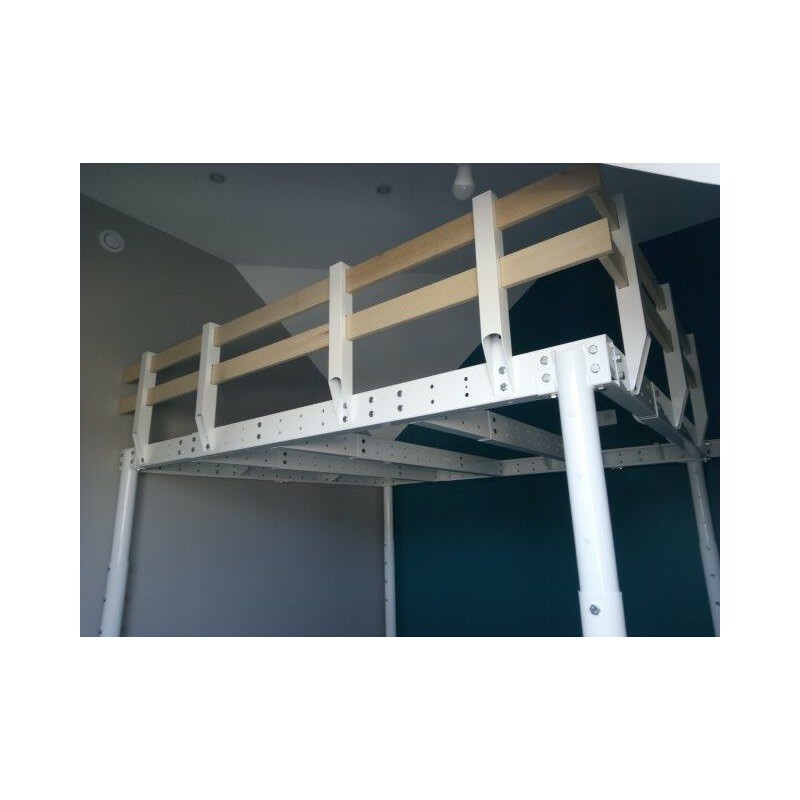 Its features are the exact same as the Loft Bed Railing. 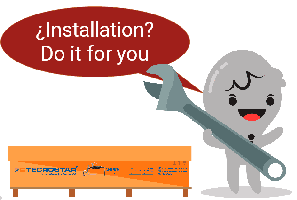 Easy to install on any Tecrostar mezzanine or platform without works. 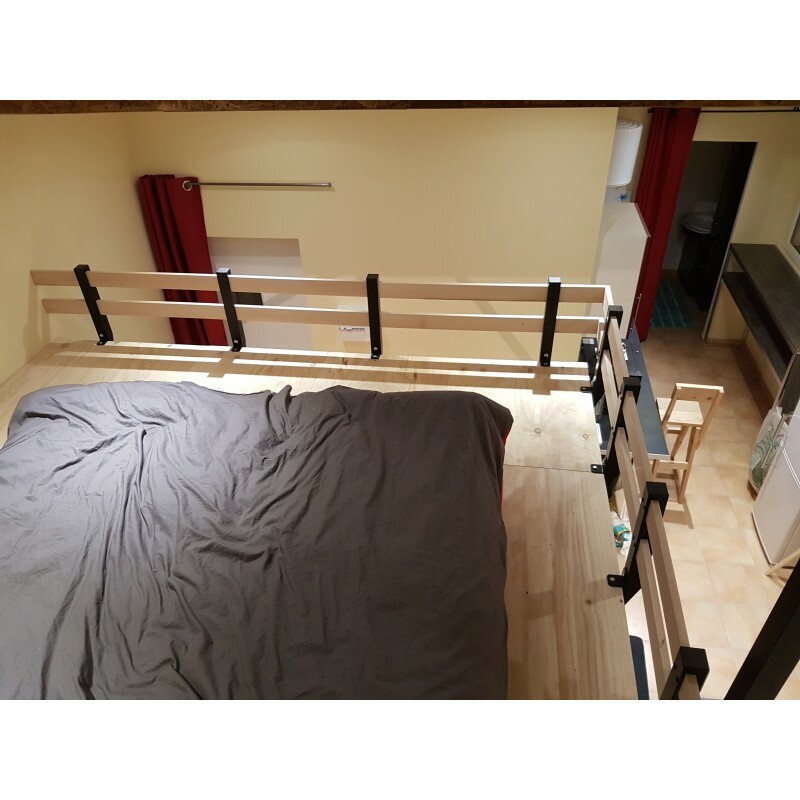 This railing is suitable for such occasions when the user cannot stand up. 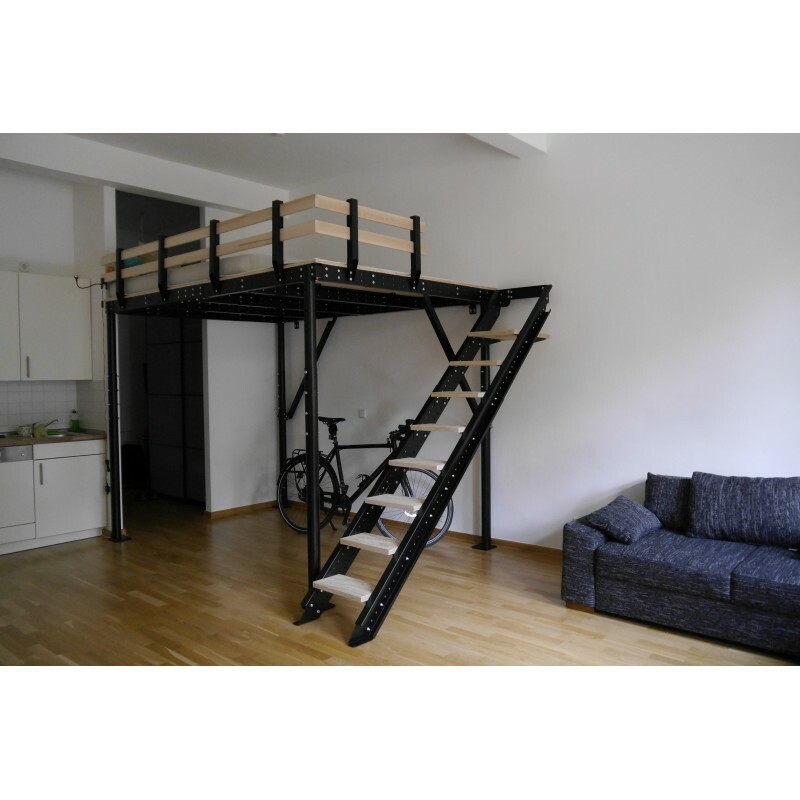 It just prevents the fall from the mattress. 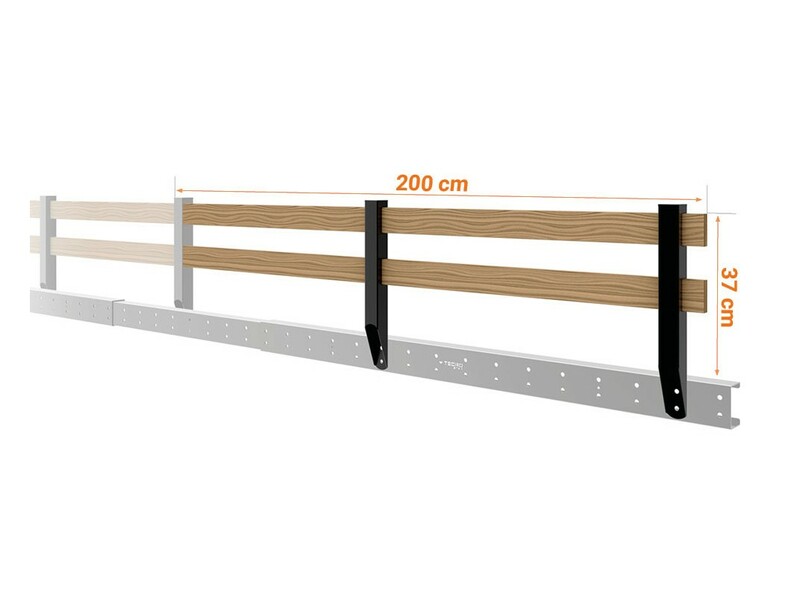 Total Length: 2 m (Each side of the mezzanine, in which you want to install railing, needs an initial railing kit with 3 posts. 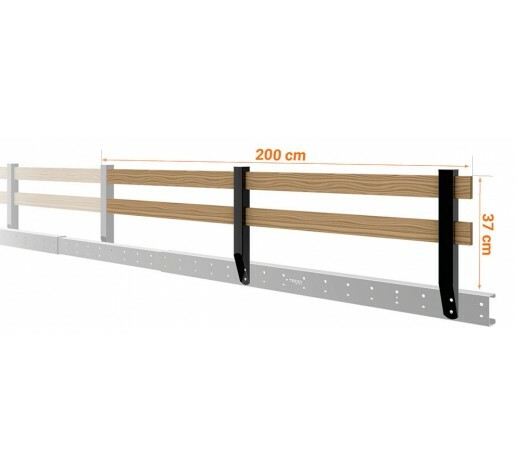 The length can be reduced placing the posts closer to each other, and can be extended using the railing extension kits). 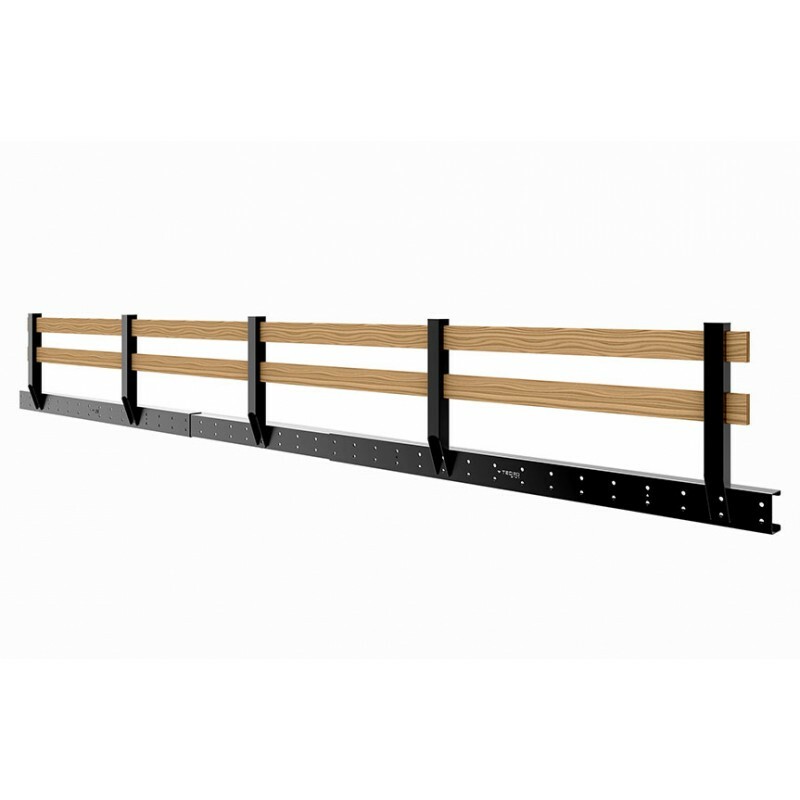 The Railing Extension can be installed in any platform or Tecrostar mezzanine of S range.